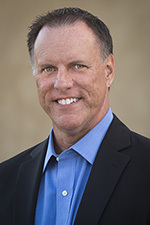 offline domain join | Richard M. Hicks Consulting, Inc. Organizations are rapidly deploying Windows server infrastructure with public cloud providers such as Amazon Web Services (AWS) and Microsoft Azure. With traditional on-premises infrastructure now hosted in the cloud, DirectAccess is also being deployed there more commonly. Interestingly, Microsoft has expressly stated that DirectAccess is not formally supported on their own public cloud platform, Azure. However, there is no formal statement of non-support for DirectAccess hosted on other non-Microsoft public cloud platforms. With supportability for DirectAccess on AWS unclear, many companies are taking the approach that if it isn’t unsupported, then it must be supported. I’d suggest proceeding with caution, as Microsoft could issue formal guidance to the contrary in the future. Deploying DirectAccess on AWS is similar to deploying on premises, with a few notable exceptions, outlined below. It is recommended that an IP address be exclusively assigned to the DirectAccess server in AWS, as shown here. When first configuring DirectAccess, the administrator will encounter the following warning message. IP addressing for virtual machines are managed entirely by AWS. This means the DirectAccess server will have a DHCP-assigned address, even when an IP address is specified in AWS. Assigning static IP addresses in the guest virtual machine itself is also not supported. However, this warning message can safely be ignored. It is not possible to create load-balanced clusters of DirectAccess servers for redundancy or scalability on AWS. This is because enabling load balancing for DirectAccess requires the IP address of the DirectAccess server be changed in the operating system, which is not supported on AWS. 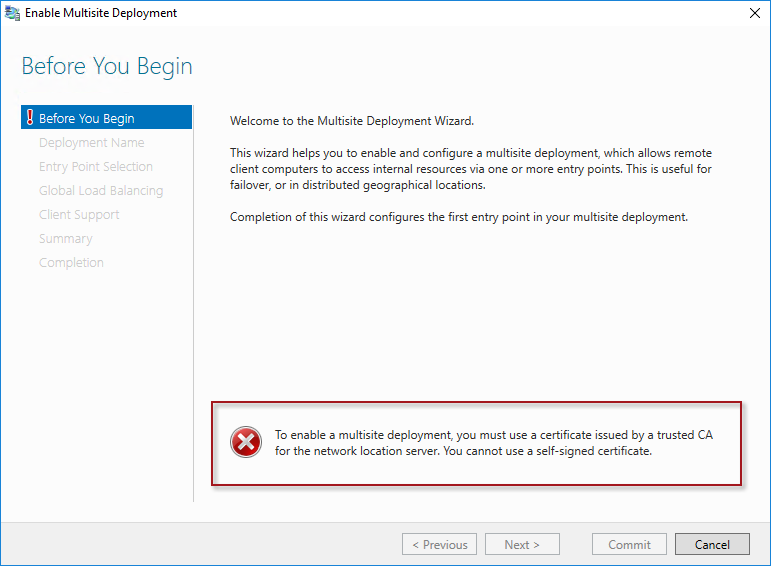 To eliminate single points of failure in the DirectAccess architecture or to add additional capacity, multisite must be enabled. Each additional DirectAccess server must be provisioned as an individual entry point. DirectAccess servers on AWS can be provisioned with one or two network interfaces. Using two network interfaces is recommended, with the external network interface of the DirectAccess server residing in a dedicated perimeter/DMZ network. The external network interface must use either the Public or Private Windows firewall profile. DirectAccess will not work if the external interface uses the Domain profile. For the Public and Private profile to be enabled, domain controllers must not be reachable from the perimeter/DMZ network. Ensure the perimeter/DMZ network cannot access the internal network by restricting network access in EC2 using a Security Group, or on the VPC using a Network Access Control List (ACL) or custom route table settings. A public IPv4 address must be associated with the DirectAccess server in AWS. There are several ways to accomplish this. The simplest way is to assign a public IPv4 address to the virtual machine (VM). However, a public IP address can only be assigned to the VM when it is deployed initially and cannot be added later. Alternatively, an Elastic IP can be provisioned and assigned to the DirectAccess server at any time. An ACL must also be configured for the public IP that restricts access from the Internet to only inbound TCP port 443. To provide additional protection, consider deploying an Application Delivery Controller (ADC) appliance like the Citrix NetScaler or F5 BIG-IP to enforce client certificate authentication for DirectAccess clients. If an organization is hosting all of its Windows infrastructure in AWS and all clients will be remote, Network Location Server (NLS) availability becomes much less critical than with traditional on-premises deployments. For cloud-only deployments, hosting the NLS on the DirectAccess server is a viable option. It eliminates the need for dedicated NLS, reducing costs and administrative overhead. If multisite is configured, ensure that the NLS is not using a self-signed certificate, as this is unsupported. However, for hybrid cloud deployments where on-premises DirectAccess clients share the same internal network with cloud-hosted DirectAccess servers, it is recommended that the NLS be deployed on dedicated, highly available servers following the guidance outlined here and here. All supported DirectAccess clients will work with DirectAccess on AWS. If the domain infrastructure is hosted exclusively in AWS, provisioning clients can be performed using Offline Domain Join (ODJ). Provisioning DirectAccess clients using ODJ is only supported in Windows 8.x/10. Windows 7 clients cannot be provisioned using ODJ and must be joined to the domain using another form of remote network connectivity such as VPN. A scenario can occur in which changes to the DirectAccess configuration made using the Remote Access Management console or at the command line using PowerShell are not reflected on the DirectAccess client, even after receiving the latest group policy updates. The issue occurs for DirectAccess clients that are provisioned with the Offline Domain Join (ODJ, or djoin.exe) tool. When the ODJ provisioning package is initially created, it does not add the new computer account to the DirectAccess security group. The ODJ-provisioned client receives all DirectAccess configuration settings at the time of provisioning, but it will not receive subsequent changes to the DirectAccess configuration made after it was originally provisioned. Once the DirectAccess client has been added to the security group and restarted, it will then receive DirectAccess configuration settings changes going forward. 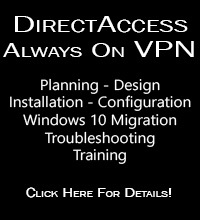 One of the many advantages DirectAccess has over traditional client-based VPN is the ease with which DirectAccess clients can be provisioned. 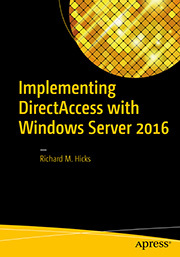 DirectAccess does not require any special software to be installed on the client. Everything that DirectAccess needs is included as part of the operating system. This makes onboarding a client for DirectAccess is as simple as adding a computer account to the DirectAccess client security group in Active Directory. That’s it! As soon as the client restarts it will be configured for DirectAccess. This process works great if the client computer is already joined to the domain and has access to the LAN (either directly connected or via client-based VPN). But what if the client is in a remote location and isn’t yet joined to the domain? Offline Domain Join (ODJ) can help. ODJ is a feature of the Windows operating system introduced with Windows 7 and Windows Server 2008 R2 that allows an administrator to join a host to the domain without requiring the host to contact a domain controller. Beginning with Windows 8 and Server 2012, ODJ supports new command-line parameters that allow the administrator to configure the client machine to include DirectAccess certificates and policies. Note: ODJ will only provision DirectAccess certificates and policies for Windows 8.x and later clients. ODJ with Windows 7 clients is limited to joining the domain only. ODJ cannot provision Windows 7 clients for DirectAccess. To use ODJ to provision a DirectAccess client, first create a computer account in Active Directory and then add the account to the DirectAccess client security group. Next, open an elevated Command Prompt window on the DirectAccess server and execute the following command. On the DirectAccess client, copy the ODJ provisioning file locally. Open an elevated Command Prompt window and execute the following command. After a restart, the client will be joined to the domain and now be able to establish a DirectAccess connection to the corporate network. Users can now log on with their domain credentials.